Anyhow, happy belated Gay Pride! 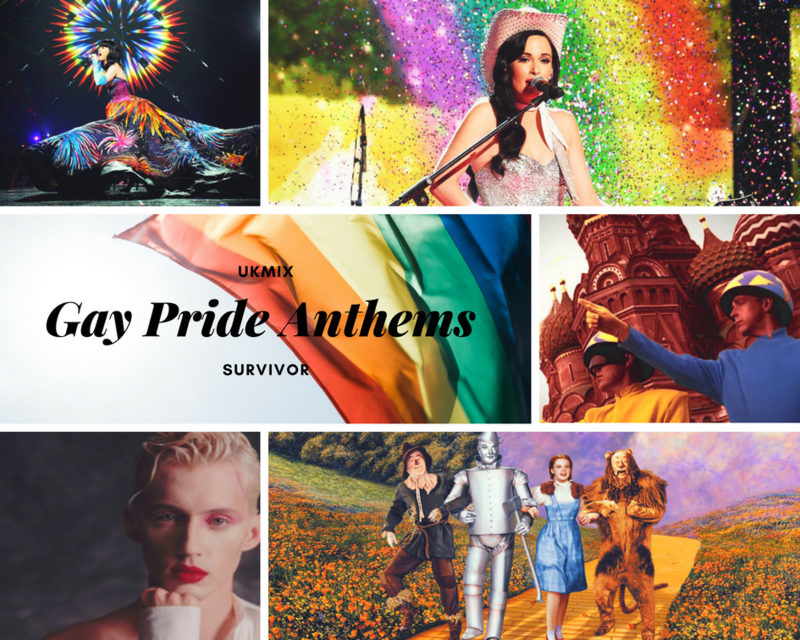 For Pride last year, Billboard created a list of 50 Gay Pride anthems, and they updated it this year with some new songs. The list of songs that they selected is listed below as well as available here. 20. Village People - Y.M.C.A. I will start this tomorrow, but this is your chance to peruse the list and check out any songs you might not have heard before. Scissor Sisters or Sylvester ftw! Yes to those musical songs, even though they’ll probably leave in the first round or so. Love almost that whole list. I think the ultimate LGBT song is Finally by CeCe Penniston - it's the theme song to Priscilla - Queen of the Desert (which is the ultimate LGBT movie) and it's brilliantly camp. Would love for something out of the blue to win it though like Thelma Houston, KD Lang or Melissa Etheridge. No Dead Or Alive - You Spin Me Round or Divine's ''You Think You're A Man''...Billboard's a flop. Also it’s only one “n” in Peniston. Wouldn’t have put down Raise Your Glass as a gay anthem tbh. The lesbians would’ve glassed someone if she hadn’t been included in some way. Love that you just get the gays Mike. They should’ve chosen a decent Pink song then. OK, I updated the typos, even though I can't believe it's actually Peniston - gay pride indeed. It's time for Eurovision! Select your top ten from the below list and rank them assigning points as below. Do not post your list here. Please post in the thread once you have voted as that bumps the thread and reminds others to vote. The four songs receiving the least amount of points will be eliminated. The song with the highest score will be immune in the next set. We will do the first 25 songs today and the other 25 songs tomorrow.